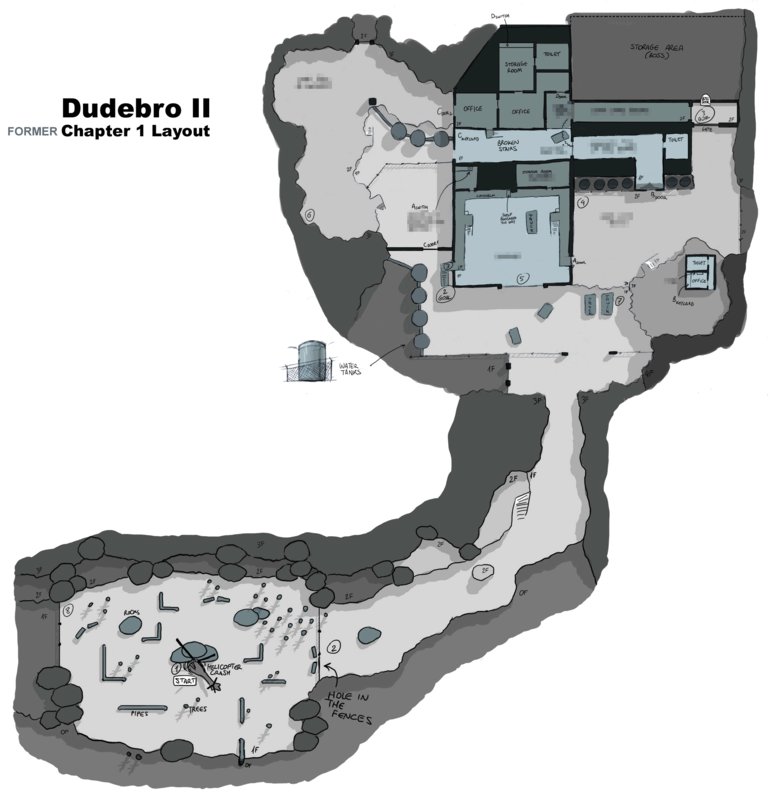 Here’s a neat piece from the Dudebro II archives: a scrapped layout for the first chapter of the old top-down build. Of course, even though the final one will be significantly different (for obvious reasons), and even though some parts were censored out not to ruin a few surprises, we chose to put a text link rather than a small thumbnail, to avoid unwanted spoilers. So be warned, and click at your own risk. The circled numbers placed around the map represent the mission markers, and even though this picture only shows eight, the map was supposed to feature nine or ten missions. Rumors say this layout was designed to look a bit like bent male genitalia, but it wasn’t intentional. If it was, they wouldn’t have been so bent. That looks painful. This entry was posted on Monday, February 27th, 2012 at 11:00 am	and is filed under Main News.